From 1933-48, there was a VA 42 segment much further southwest. 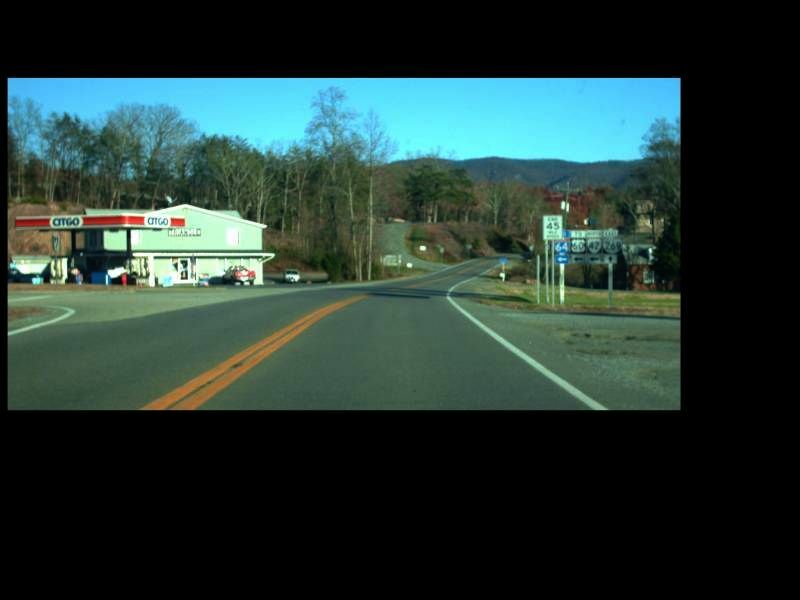 This is the eastern end of that segment, Holston. 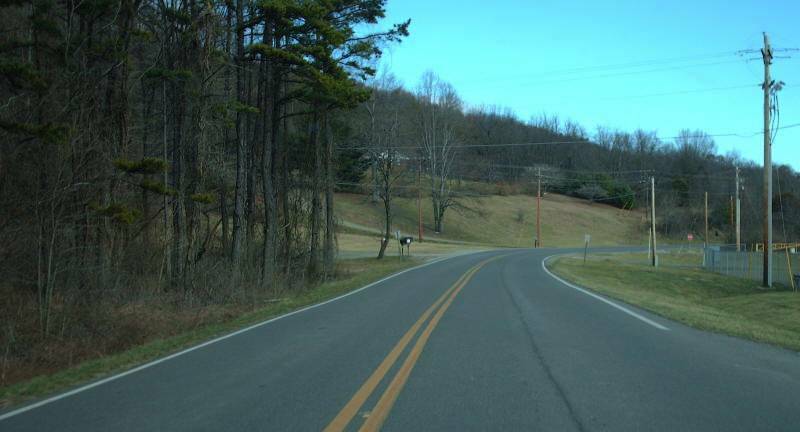 This is the view of old US 19 south turning left onto SR 876, while old VA 42 began ahead (now SR 802). Photo by Mapmikey, taken August 18, 2008. VA 91 south approaching VA 42. Photo by Mapmikey, taken July 21, 2007. 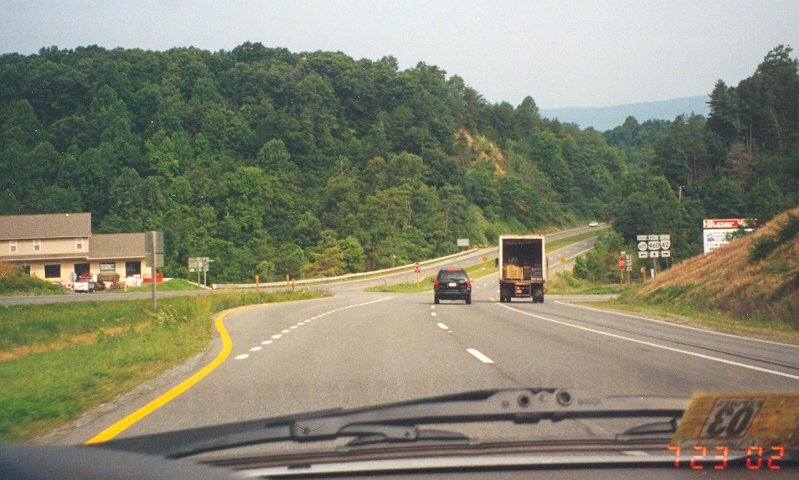 Southbound along VA 91 where it turns right heading for Glade Spring. . Photo by Chris E, taken September 4, 2004. 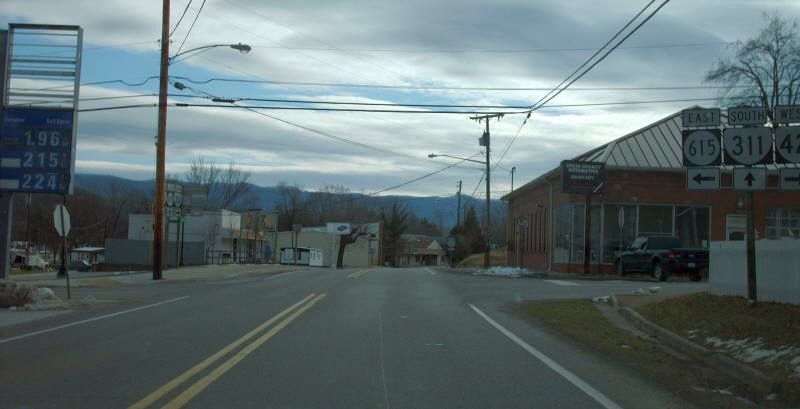 VA 42 leaving VA 91. Photo by Mapmikey, taken July 21, 2007. 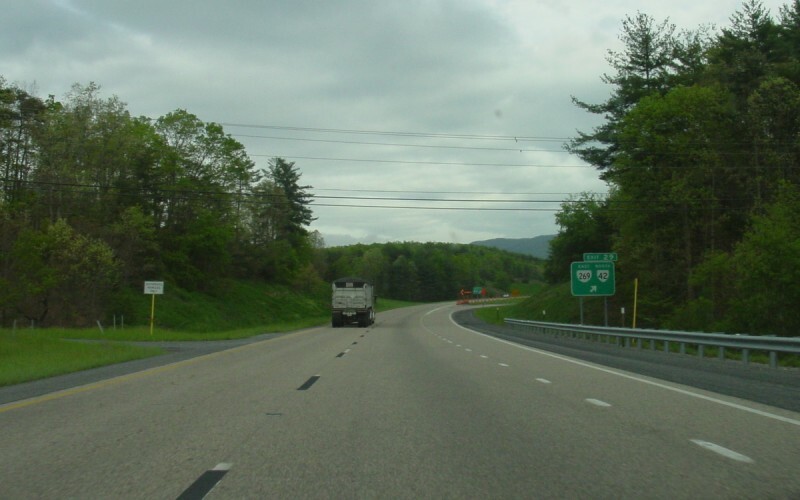 Southbound along VA 100. 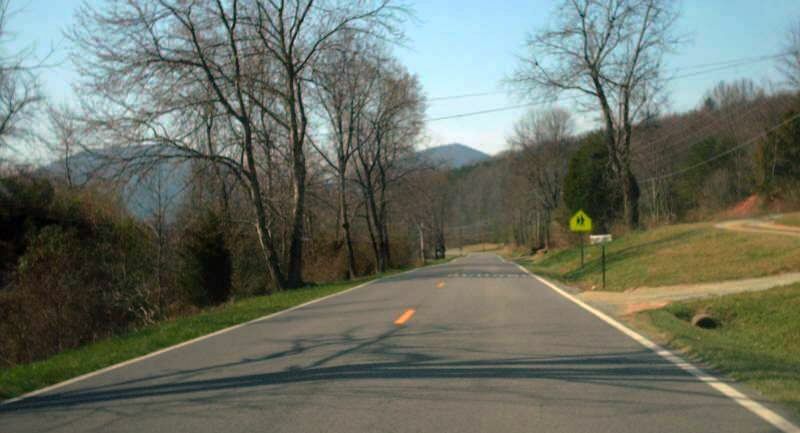 As with US 460 noted below, VDOT logs suggest that VA 42 has a short duplex with VA 100, but does not exist between VA 100 and US 460. Photo by Adam Froehlig, taken May 24, 2003. 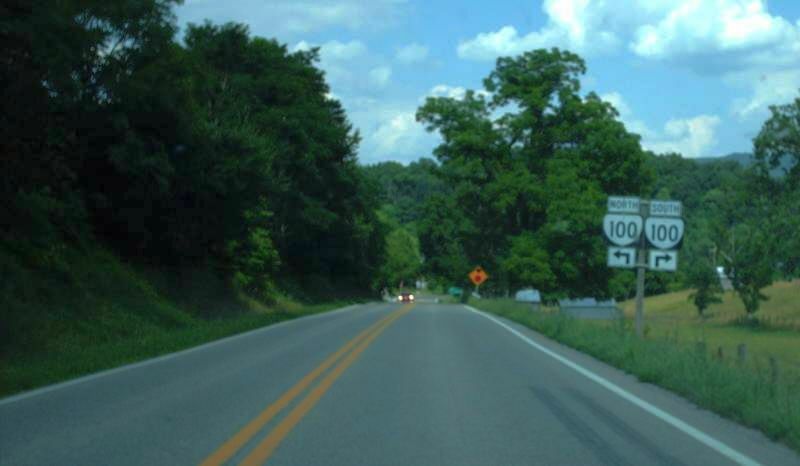 VA 42 approaching VA 100. Photo by Mapmikey, taken July 21, 2007. Looking down VA 42 from VA 100. Photo by Mapmikey, taken July 21, 2007. 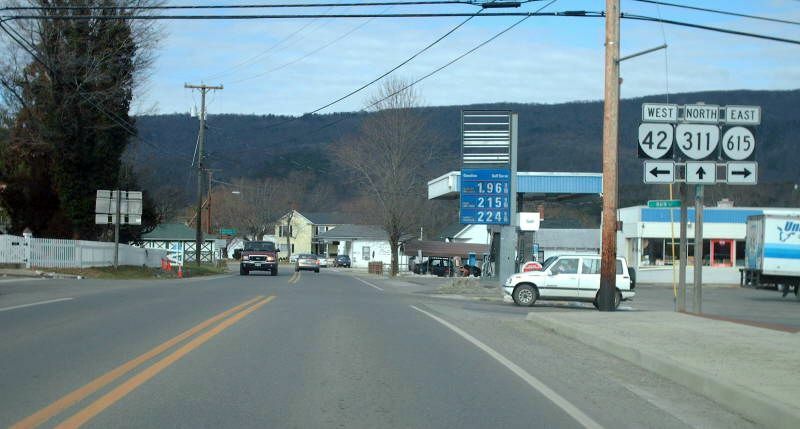 Along the westbound lanes of US 460 in the small hamlet of Newport. VA 42 has three distinct segments, with this being the signed southern termini of the central segment. VDOT logs suggest that VA 42 actually continues duplexed with US 460 west to SR 730. Photo by Adam Froehlig, taken in 2002. Along the eastbound lanes of US 460. Photo by Mapmikey, taken March 10, 2007. Heading into Newport on VA 42 leaving US 460. Photo by Mapmikey, taken March 10, 2007. 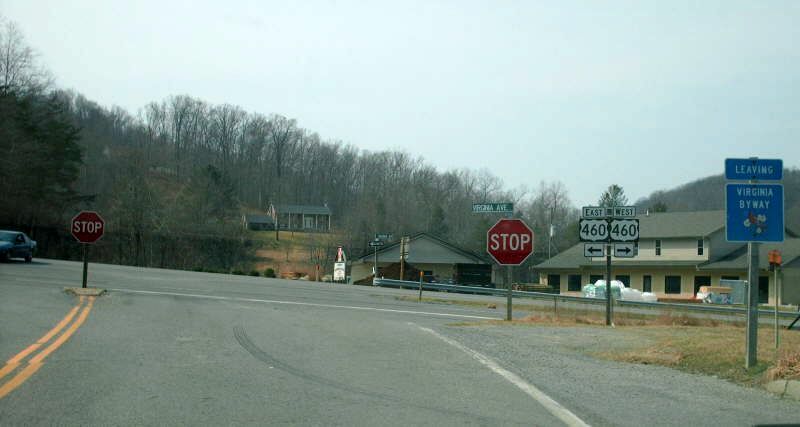 VA 42 arriving at US 460. 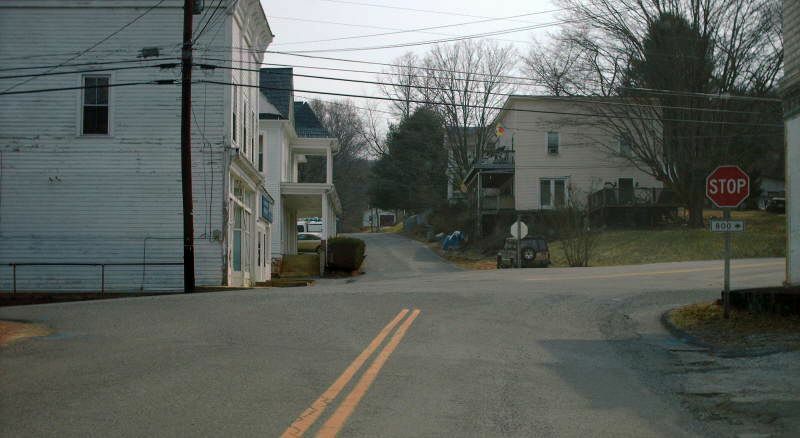 This segment of VA 42 has ended here since around 1971. Photo by Mapmikey, taken March 10, 2007. 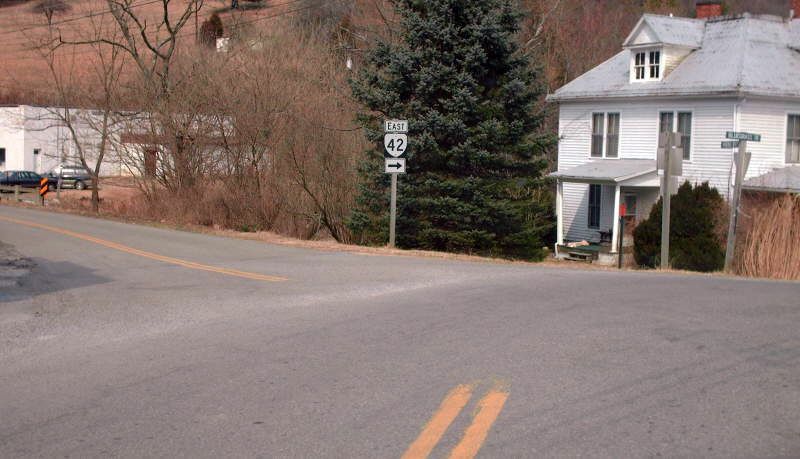 From 1948-71, VA 42 ended in the village of Newport at today's SR 796 which was old US 460, et al. 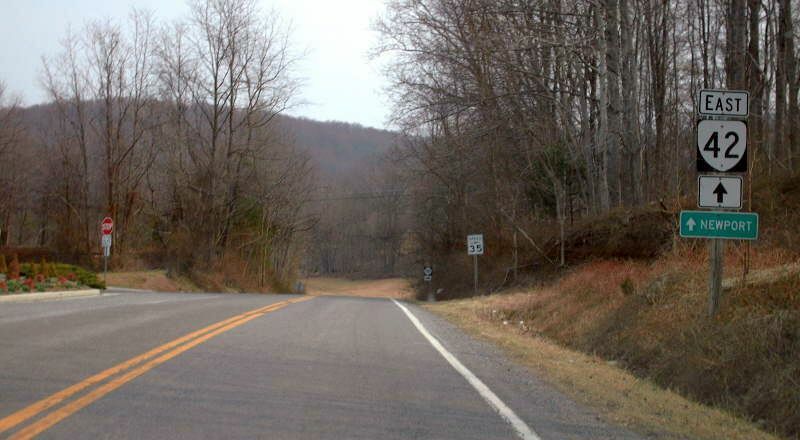 This view is VA 42 approaching SR 796. Photo by Mapmikey, taken March 10, 2007. 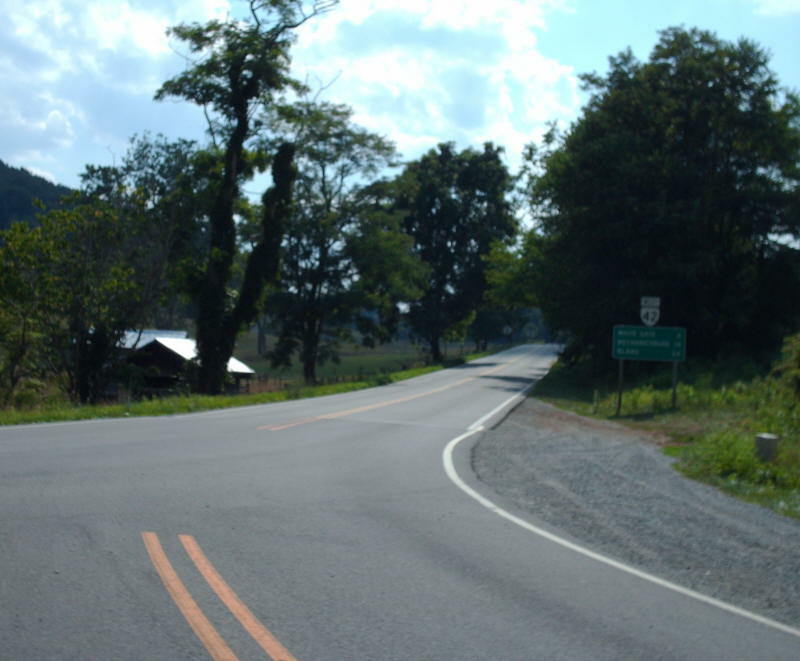 VA 42 east leaving SR 796. Photo by Mapmikey, taken March 10, 2007. This is from SR 796 east. 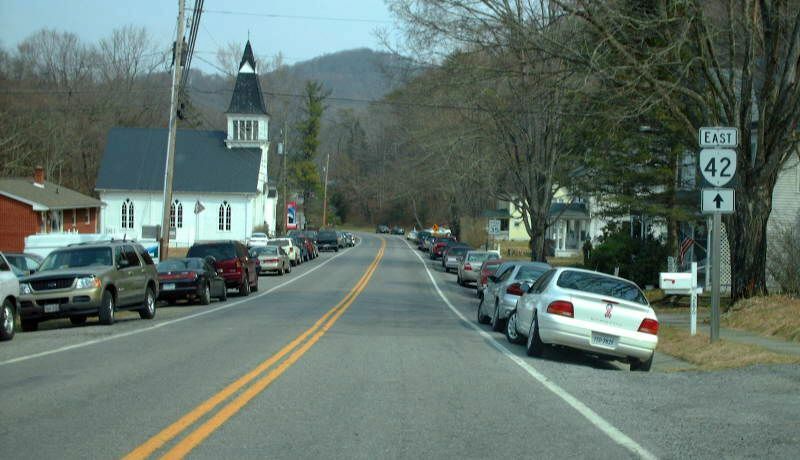 VA 42 east began to the left. Photo by Mapmikey, taken March 10, 2007. 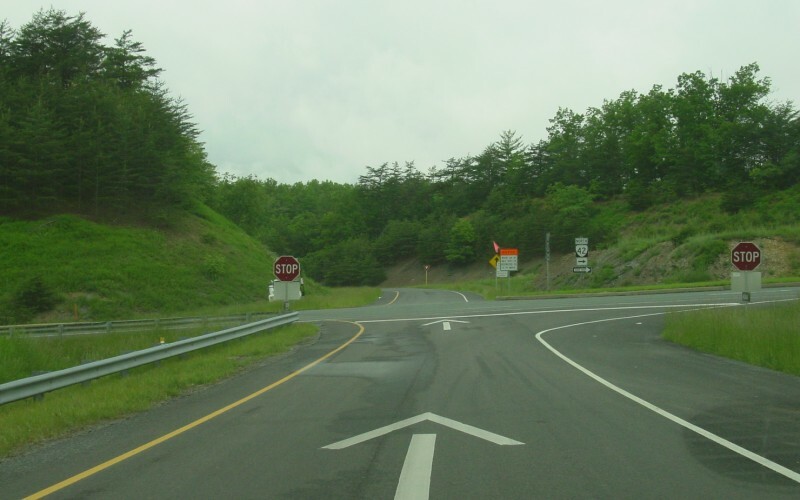 This is from VA 42 east which turns right onto its original beginning while SR 796 bends left. Photo by Mapmikey, taken March 10, 2007. 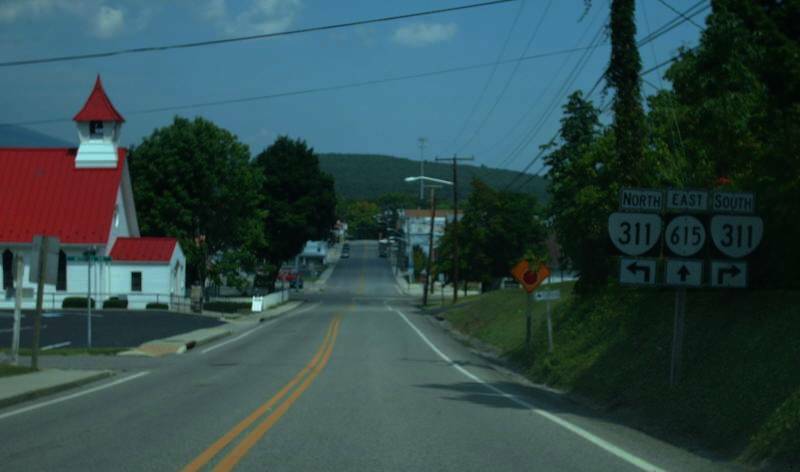 Looking south on VA 311 in New Castle. Photo by Mapmikey, taken January 26, 2007. 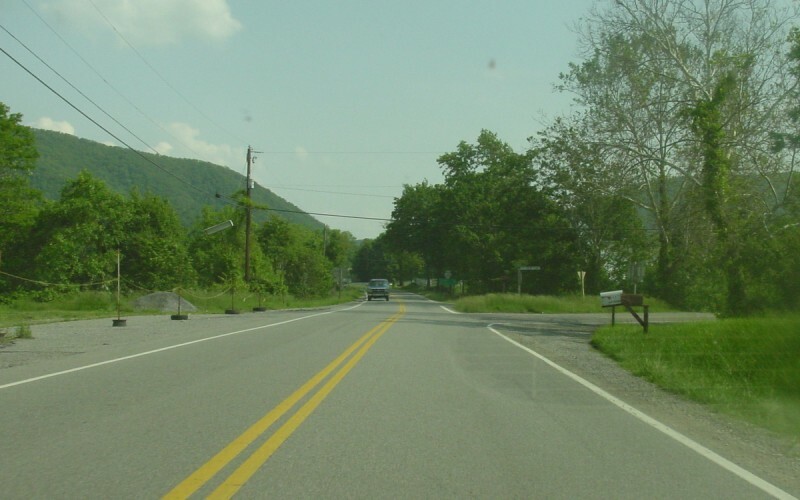 Looking north on VA 311. Photo by Mapmikey, taken January 26, 2007. Heading west on VA 42. Photo by Mapmikey, taken January 26, 2007. Approaching VA 311 on VA 42. 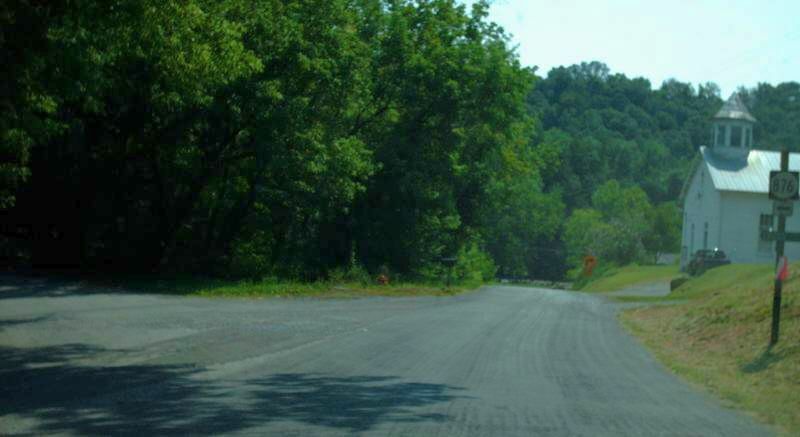 Until 1961, VA 42 continued straight on SR 615. Photo by Mapmikey, taken August 30, 2008. 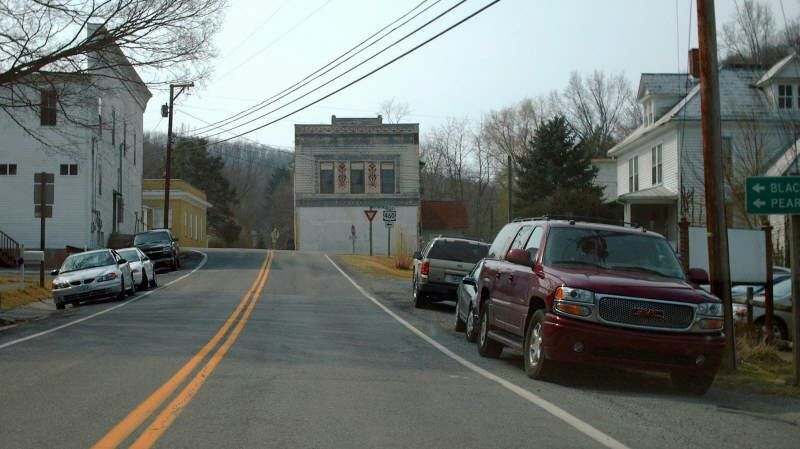 From 1931-61, VA 42 ended in the village of Virginia Mineral Springs, a little east of New Castle. 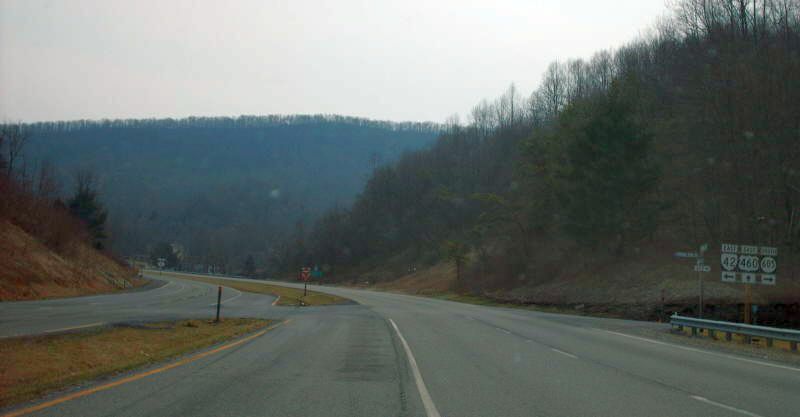 This view is old VA 42 (now SR 615) eastbound at its approximate endpoint. Photo by Mapmikey, taken January 26, 2007. 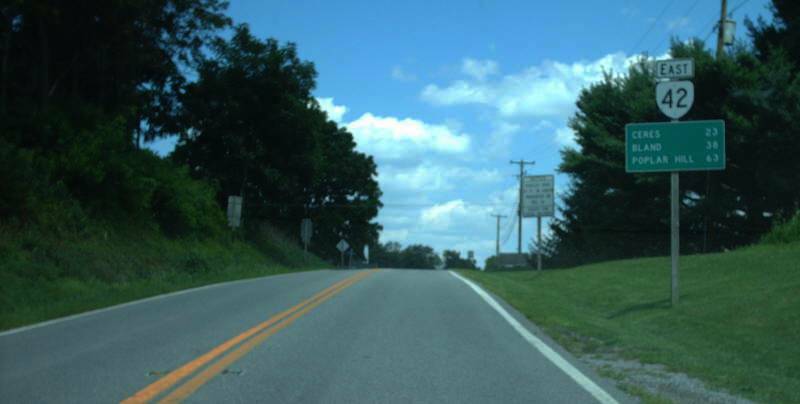 This view is old VA 42 (now SR 615) westbound at its approximate endpoint. Photo by Mapmikey, taken March 14, 2008. 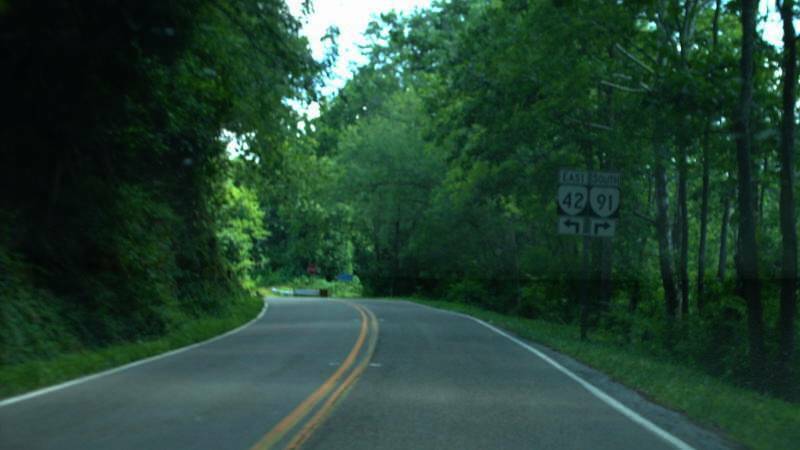 These three photographs denote access from I-64 to the "northern segment" of VA 42, as well as to VA 269. The actual terminus isn't at this interchange, though. 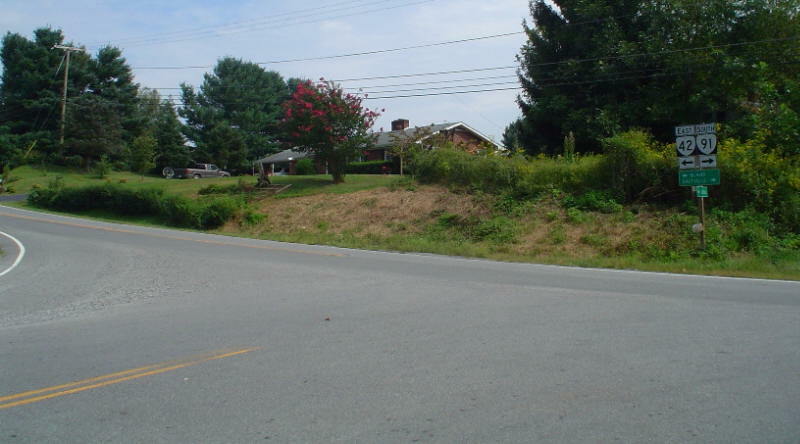 It's about 400 yards south, where VA 42 intersects with Longdale Furnace Rd (old US 60 and now SR 632 and VA 269). The top two photos were taken westbound on May 24, 2003. The bottom photo was taken eastbound on May 6, 2003. Photos by Adam Froehlig. 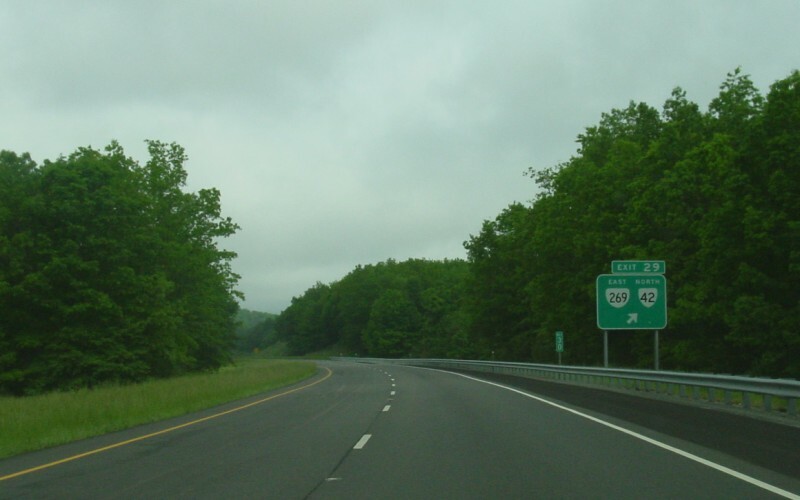 Westbound on VA 269. 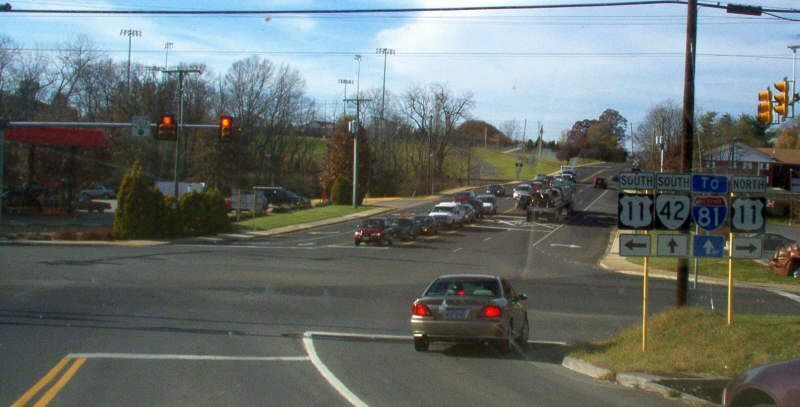 Although not signed to do so, VA 269 turns right at this intersection. Photo by Mapmikey, taken January 26, 2006. 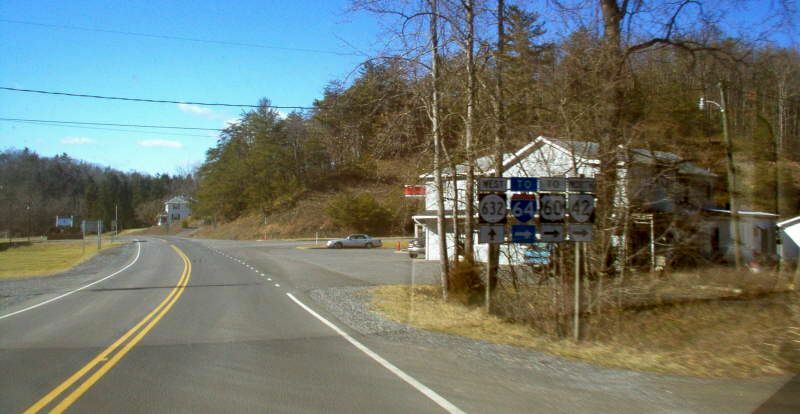 Here is the view from eastbound SR 632 (old US 60) at the end of VA 42. Photo by Mapmikey, taken October 2011. On VA 42 northbound approaching US 11 which is just past the railroad crossing. Photo by Mapmikey, taken November 10, 2006. On SR 670 westbound at the US 11-VA 42 junction. Photo by Mapmikey, taken November 10, 2006.